26/12/17 14:06 Search for a vulnerable person in the Porthleven area ALB S 7 Person found with a neighbour having lunch! 25/07/17 19:31 Assist yacht that had run aground ILB Calm ILB arrived on scene, Yacht had already broken free from the shore and under own power. 09/07/17 21:59 Assist Paddle boarder off Praa Sands ILB S 2 ILB arrived on scene, Paddle boarder had made his own way to shore. 20/06/17 22:26 Reports of distress flares in Mounts Bay ALB ESE 2 Conducted a search between Penlee Point and Long Rock, Stood down with nothing found. 13/05/17 07:21 Assist Coastguard Cliff rescue team in recovery of a body near Loe Bar BOTH TBC We await a full statement from the Police in respect of this incident. All-weather lifeboat Ivan Ellen has launched at 2.06pm to assist with the search for a vulnerable person in the Porthleven area. The Lifeboat searched from Porthleven to Loe Bar and our second Boxing Day shout had a very happy ending - the elderly gentleman was found safe and well enjoying lunch and a few beers with a neighbour! Weather - South Force 7, rough sea with a 4-metre swell, heavy squally showers. Crew - Coxswain Patch Harvey, Mech Marcel Le Bretton, Rich ‘Nabo’ Nicholls, Paul Boulton, Andrew Stevens, Ben Keogh, and Jason Ward. The Penlee Lifeboat crew received a launch request from Falmouth Coastguard at 00:08 on Boxing Day following reports of person in the sea at Long Rock. Penlee All Weather Lifeboat 'Ivan Ellen and the Inshore Lifeboat 'Mollie & Ivor Dent launched at 00:14 and proceeded to the area where the person had entered the sea to start a search. Penzance Cliff Rescue Team and the Police where also on scene. 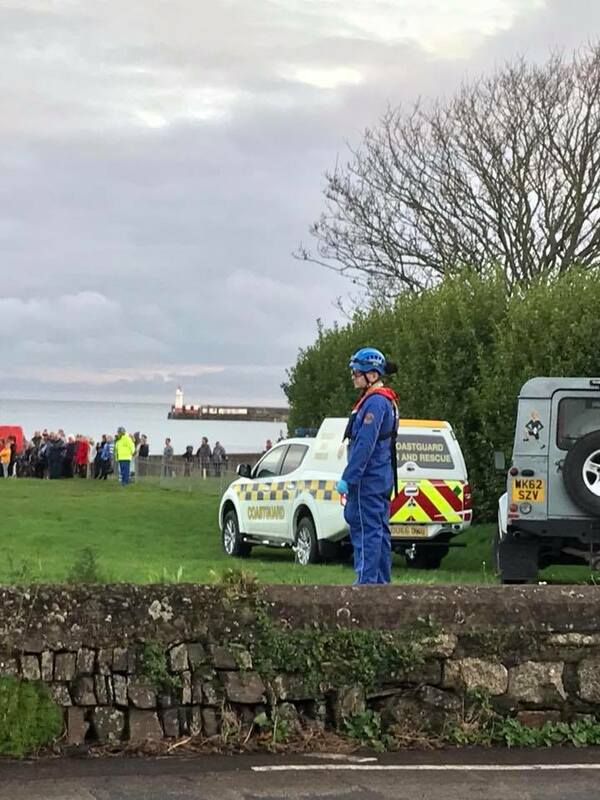 The Police located the person quite quickly but he then escaped and headed towards the sea again, Both Lifeboats kept searching and eventually the person was located by the Cliff Rescue Team, He was then taken to hospital by the Police as very cold and swallowed sea water. Both Lifeboats were stood and returned to station arriving at 01:05. Weather: West 7, 2m swell, squally showers. ALB crew: Patch, M Le-Breton, A Stevens, R Nicholls, J Ward & W Treneer. ILB crew: B Keogh, J Roberts & M Isles. on 18th December at 6.16pm and at the request of HM Coastguard at Falmouth, the all-weather lifeboat ‘Ivan Ellen’ launched from Newlyn and went to the assistance of a 20-foot fishing boat, with two persons onboard, which had broken down close to rocks just west of Tater Du Lighthouse at Tregiffian Cliffs. In fair weather conditions the vessel was immediately taken under tow and brought safely back to Newlyn. Crew - Cox Patch Harvey, Mech Tony Rendle, Andrew Wood, Rich ‘Nabo’ Nicholls, Elliot Andrews, James Roberts and Marcel Le Bretton. At 2.48am this morning the all-weather lifeboat ‘Ivan Ellen’ was tasked to go to the assistance of the Newlyn based beam trawler PZ 101 ‘Louisa N’ which had suffered gear box failure 23 miles south of Newlyn. 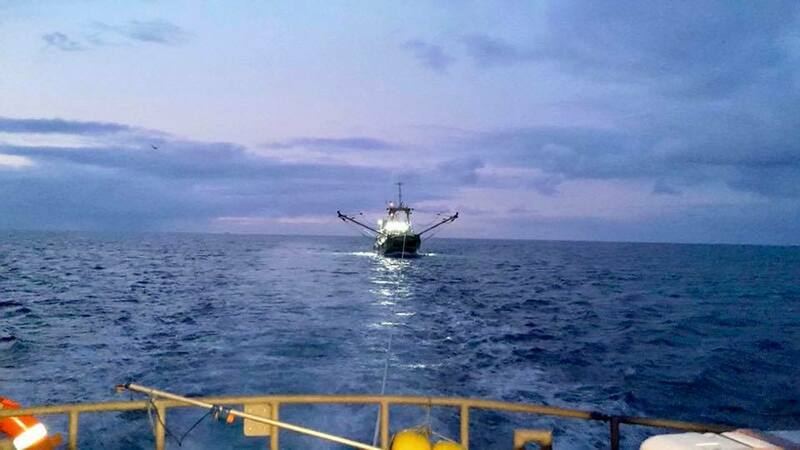 The ‘Ivan Ellen’ arrived on scene at 4.05am and immediately attached a tow to the 22-metre, 126-ton trawler owned by the Nowell family. In reasonable weather conditions, NW Force 5-6, the ‘Louisa N’ was towed slowly back to Newlyn, rafted alongside, and manoeuvred safely through the gaps at 8.04am. Crew - Cox Patch Harvey, Mech Tony Rendle, James Roberts, Dan Sell (wearing his slippers! ), Tom Matson, Elliot Andrews and Andrew Wood. 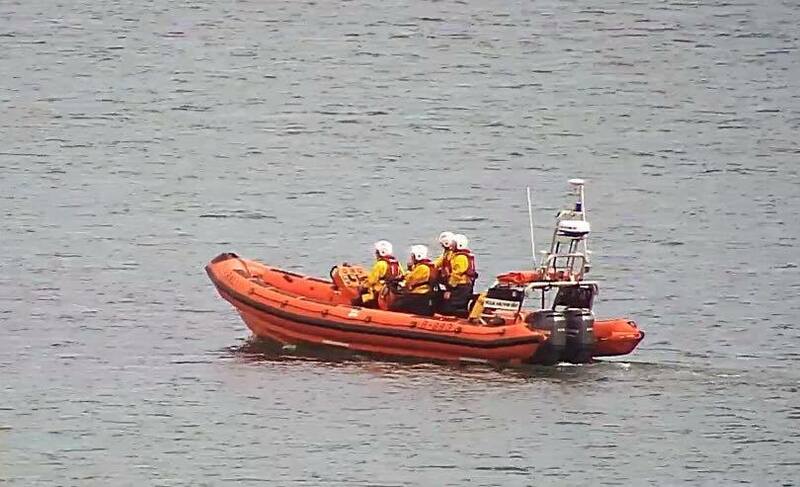 Penlee Inshore Lifeboat ‘Mollie & Ivor Dent’ received a launch request from Falmouth Coastguard at 14:42 today following reports that a teenager had fallen 20ft onto rocks in the sea near Penlee Point. Penlee’s Inshore Lifeboat launched immediately and located the casualty near Bell Rock, the casualty was being was being held above the surface by a friend who very bravely alerted the emergency services and entered the sea to support his friend who suffered severe injuries. Penzance Cliff Rescue teams, Paramedics, Search and Rescue helicopter and the Air Ambulance were also tasked. Two of the Penlee Lifeboat Crew entered the water, the casualty was very cold and in a lot of pain so they lifted the casualty and friend into the Lifeboat. Two Paramedics who were also on scene were put on board from the old Lifeboat slip to help stabilise the casualty the Lifeboat then headed to Newlyn, once along side the casualty was taken by Ambulance to the Air Ambulance that landed on Newlyn Green and flown to Derriford Hospital. This was a tremendous effort by all the emergency services involved, the brave teenage friend who kept her above the surface until the Lifeboat possibly saved her life. Penlee Inshore Lifeboat 'Mollie and Ivor Dent' launched on service at 4.58pm this afternoon at the request of Falmouth Coastguard. 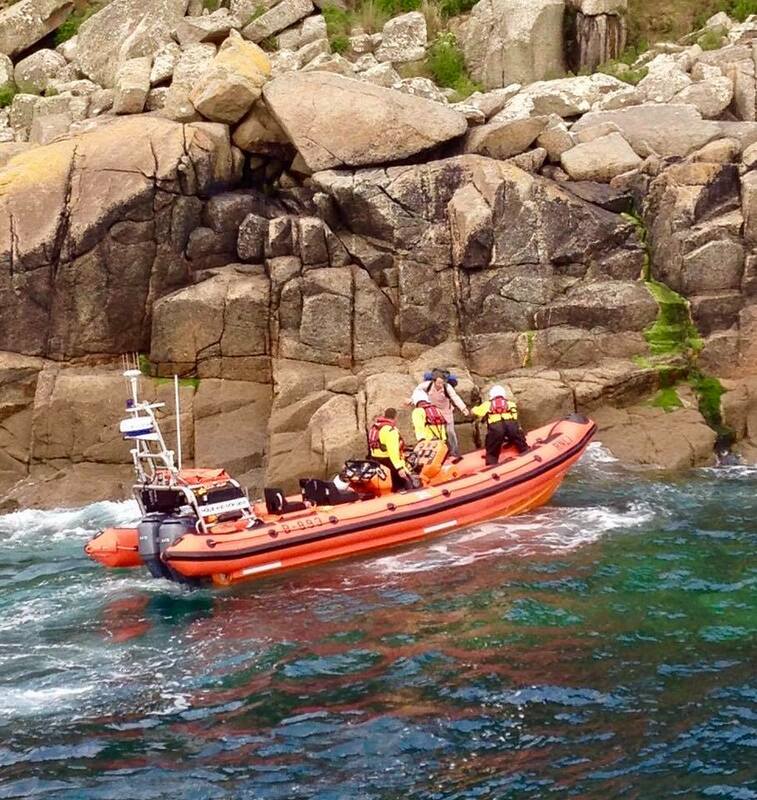 A 17ft angling vessel had suffered engine failure south of Lamorna and required assistance. As the Inshore lifeboat was heading towards the casualty a larger angling vessel, 'Bite Adventures', that was heading back to Penzance from Porthcurno, attached a tow rope. It was quickly established that the ‘Bite Adventures' was happy to tow the disabled vessel back to Penzance, so the ‘Mollie and Ivor Dent’ was stood down and returned to station. Crew - James Roberts (helm) Dan Sell, Andrew Woods, & Marcel Le Bretton. At 2.00pm the all-weather Lifeboat ‘Ivan Ellen’ launched from Newlyn on a prearranged medical evacuation from the 23.93m 161-ton French trawler ‘Azur’. 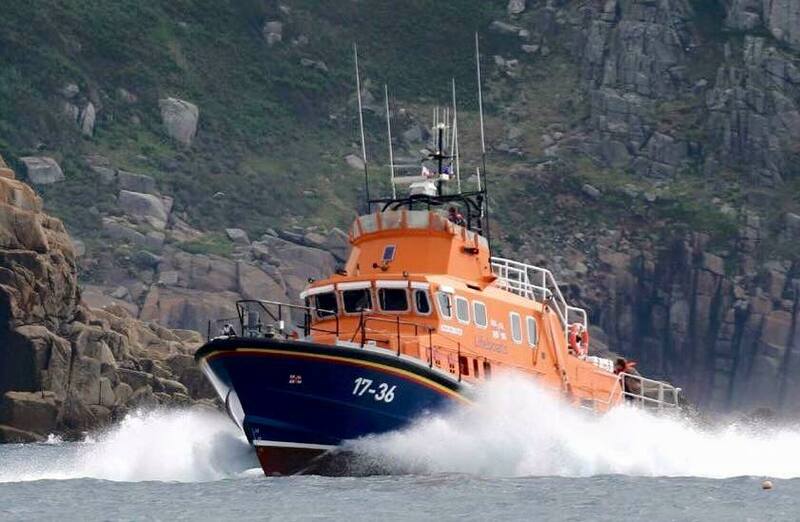 The lifeboat rendezvoused with the ‘Azur’ about 2 miles south of Lamorna and escorted her into Mount’s Bay. 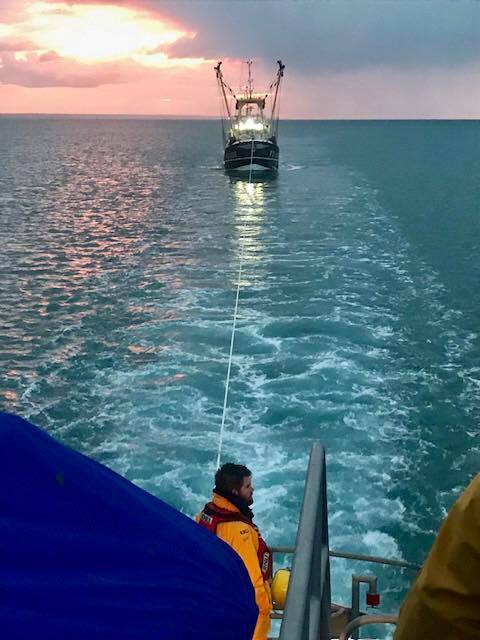 In calmer sea conditions the injured fisherman was safely transferred to the Ivan Ellen lifeboat - he had a severe knee injury caused by a ‘swinging cod end’, the narrow end of a tapered trawl net, and was in extreme pain. Entonox pain relief was administered by crew member, Josh Simm. At 3.30pm, on arrival in Newlyn Harbour, two of the lifeboat crew carried the injured fisherman to Penlee Lifeboat Station. He was then collected by Superintendent Keith Dixon from the Fisherman’s Mission at Newlyn and conveyed to West Cornwall Hospital, Penzance for treatment. Weather - SW Force 6, choppy sea conditions, misty rain, poor visibility. Crew - Cox Patch Harvey, Mech Tony Rendle, Dave Pascoe, Ben Keogh, Andrew Stevens, Will Treneer & Josh Simm. At 1.24pm both Penlee lifeboats were tasked to launch by HM Coastguard at Falmouth. 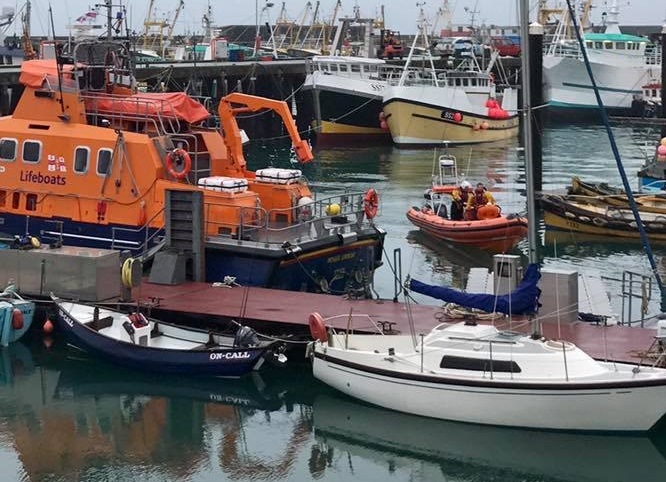 The all-weather lifeboat ‘Ivan Ellen’ and the Inshore lifeboat ‘Mollie and Ivor Dent’ launched from Newlyn and joined other emergency services in the search for a vulnerable high risk missing adult. In foggy conditions the volunteer crew of both lifeboats commenced a systematic shoreline search between Marazion and Praa Sands. Thankfully the missing person was located safe and well on shore - both lifeboats stood down and returned to Newlyn. 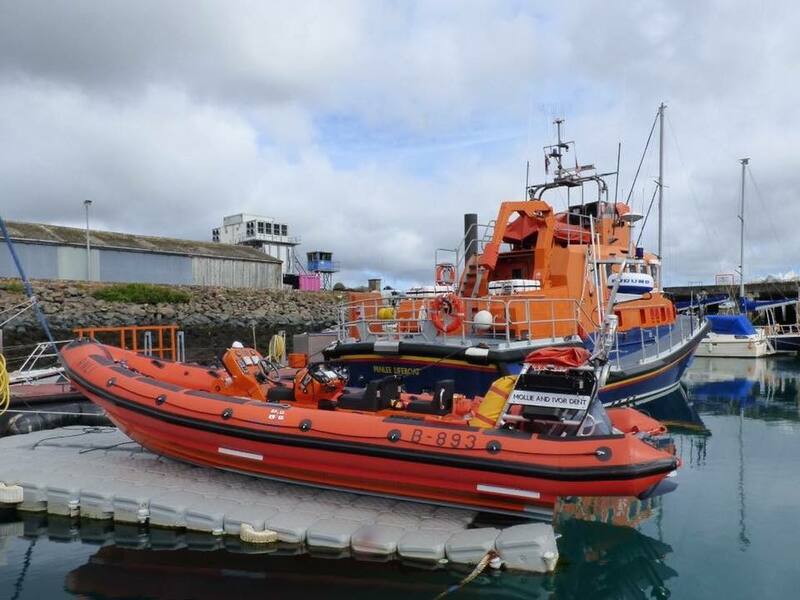 At 7.22am the St.Ives Shannon class all-weather lifeboat ‘Nora Stachura’ launched on service and went to the assistance of a 40-foot motor cruiser ‘FV Tiger’, with two persons onboard, that was on passage from Holyhead to Southampton. 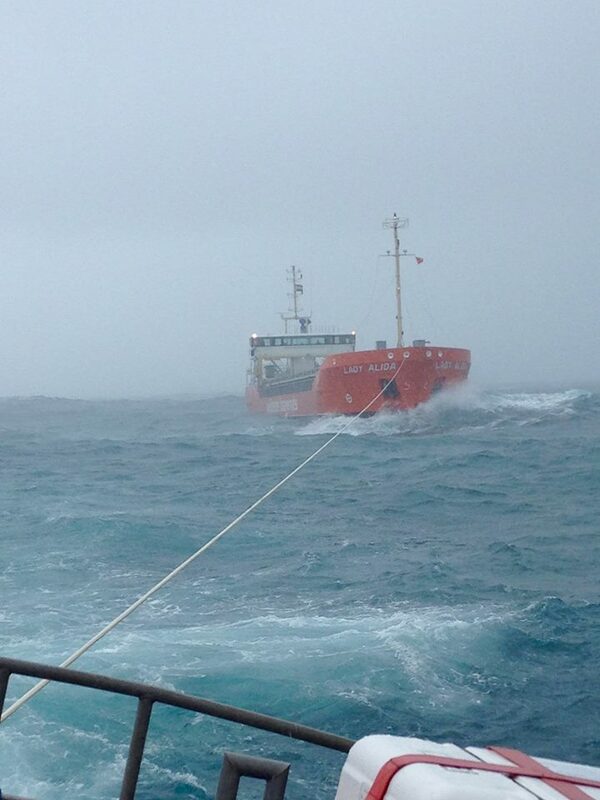 The vessel had suffered a fouled propeller off St.Ives and required a tow back to port. Because of the low tide at St.Ives it was decided that the best option was to tow the disabled vessel back to Newlyn. At 9.30am the ‘Ivan Ellen’ all-weather lifeboat launched from Newlyn and steamed to a point 3 miles WNW of Gwennap Head where they rendezvoused with the St.Ives Lifeboat and the tow was handed over. In near perfect weather conditions the ‘FV Tiger’ was towed safely back to Newlyn arriving at 1.00pm - she was berthed alongside, and her grateful crew treated our boys to a very welcome feed of fish & chips! Weather - Northerly Force 3 - 4, 2m swell, good visibility. Crew - Cox Patch Harvey, Dave Pascoe, Andrew Wood, Andrew Stevens, Will Treneer, Mike Isles & Tom Pascoe. Photos by crew member, Andrew Stevens. At 5.30pm the Inshore lifeboat 'Mollie and Ivor Dent' launched from Newlyn to investigate reports of a windsurfer in difficulty off Longrock. With volunteer crewman, James Roberts at the helm, and crew members Tom Matson, Andrew Wood, and Dan Sell the lifeboat sped across Mount's Bay. Just as the all-weather lifeboat 'Ivan Ellen' was due to head across the bay to Porthleven Lifeboat Day a 'shout' came in! 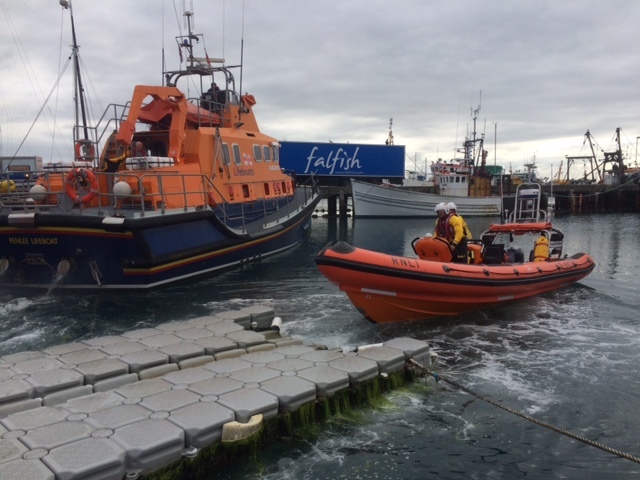 The lifeboat launched from Newlyn at 1:38pm and went to the assistance of the MFV Mordros, with two persons onboard, which had broken down with fuel problems just off Tater Dhu. 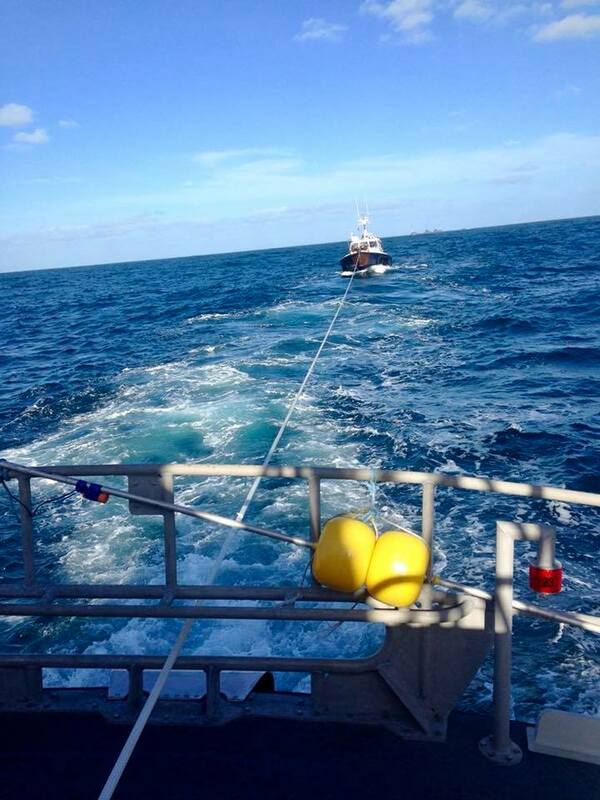 The vessel was towed slowly & safely back to Newlyn arriving at 3:00pm. Sadly we didn't make it across the bay for Porthleven Lifeboat Day - sorry folks. Weather - ...Poor visibility, mist and drizzle. Wind SW Force 5-6 with lumpy sea. 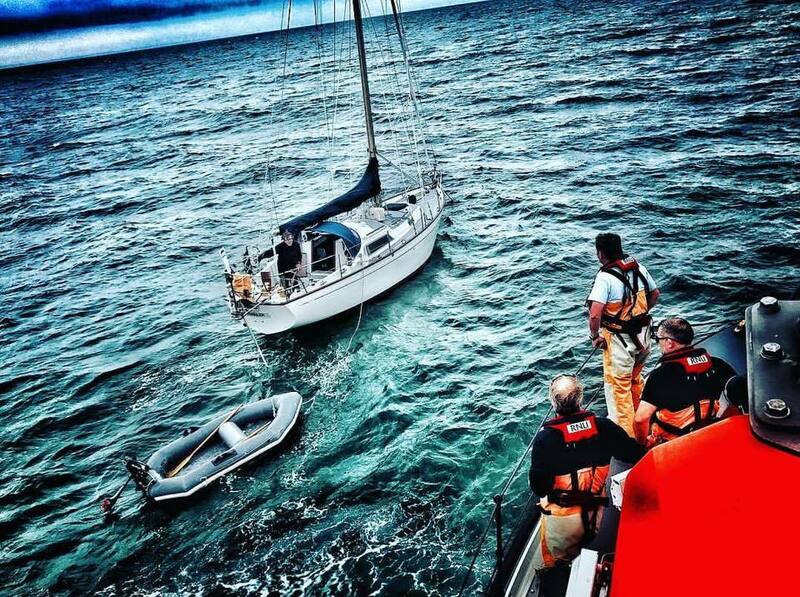 Having already given advice to a yachtsman off Penzance earlier in the day whilst the lifeboat was on exercise, both lifeboats were called to assist him as the weather deteriorated. The Yacht was then towed into Newlyn Harbour. The single handed novice sailor was helped ashore by one of our 'off duty' volunteer crew members, Josh Simm, after struggling to lift his anchor. Suitable words of advice were given. Diverted whist on exercise, the Ivan Ellen was tasked to a lone Yachtsman off Penzance harbour. At 10:20pm both Penlee lifeboats launched from Newlyn after Falmouth Coastguard received reports that two teenagers on kayaks were overdue. The 'Ivan Elllen' and 'Mollie & Ivor Dent' were quickly on scene and commenced a search around Mousehole Island, and from Penlee Point to Spaniard's Point, using the lifeboats powerful searchlights and night vision cameras. Penzance Coastguard Rescue Team were also tasked to carry out a search on the shore. At 11:00pm the Coastguard Team found the teenagers safe and well in Mousehole Harbour. No medical treatment was required so the lifeboats were stood down. At 11:10pm both boats arrived back in Newlyn were they washed down, refuelled, and made ready for their next service. The crew then enjoyed a well earned cup of tea with their colleagues from the Penzance Coastguard Rescue Team - job well done. Weather - SW 4, 1-m swell, moderate sea conditions. The Inshore lifeboat, Mollie and Ivor Dent, launched at 6.07pm to commence a shoreline search at Mousehole. Earlier this evening a concerned member of the public made contact with the lifeboat station at Newlyn and made a third party report of someone screaming for help near Mousehole. A full search was carried out with a negative result - false alarm reported in good faith. 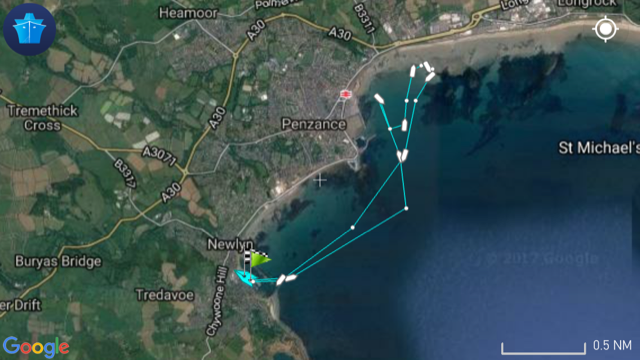 Falmouth Coastguard requested the immediate launch of the Penlee Inshore Lifeboat 'Mollie & Ivor Dent' at 19:31 on 25/07/17 after receiving a Mayday from a 23ft Yacht that had gone aground near Long Rock with one person on board. Just as the Inshore Lifeboat launched the Yacht managed to re float and didn't require any assistance as thankfully there were no signs of any damage or leaks so the Inshore Lifeboat was stood down. The yacht motored to Penzance Harbour. Weather Fog, Light winds and calm sea. At 12:25pm at the request of HM Coastguard, Falmouth we launched to the assistance of a small yacht with three persons onboard that was suffering with engine problems just off Mousehole. The 'Ivan Ellen' arrived on scene at 12:37 and escorted the yacht, which was still under sail, to the Low Lee Buoy. 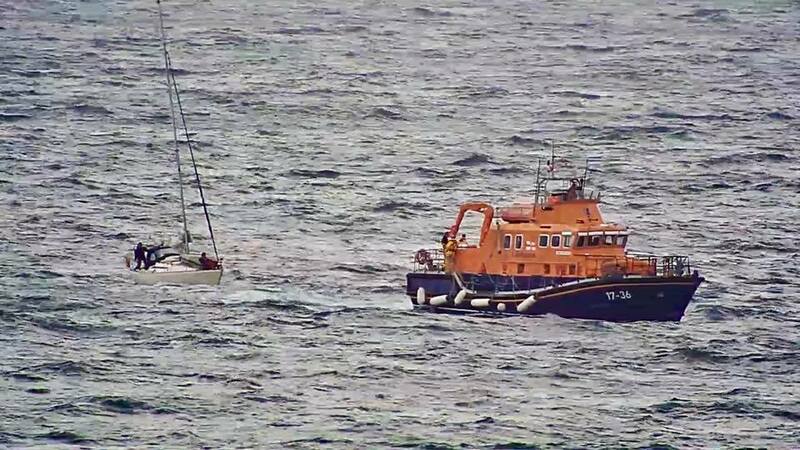 At this point the Yacht was having great difficulties making any headway so the lifeboat took it under tow safely back to Newlyn. Weather - Freshening Easterly - Force 5, moderate sea and swell. Crew - Cox Patch Harvey, Mech Tony Rendle, Ben Keogh, Will Treneer, Mike Isles, Jason Ward, and Peter Wood. The Penlee Inshore Lifeboat 'Mollie and Ivor Dent' launched by request of HM coastguard at just after 10pm. Tasked to assist a stand-up paddle boarder who was in difficulty off Praa sands in failing light. On arrival at the scene, the paddle boarder had nearly made his way back to the shore. 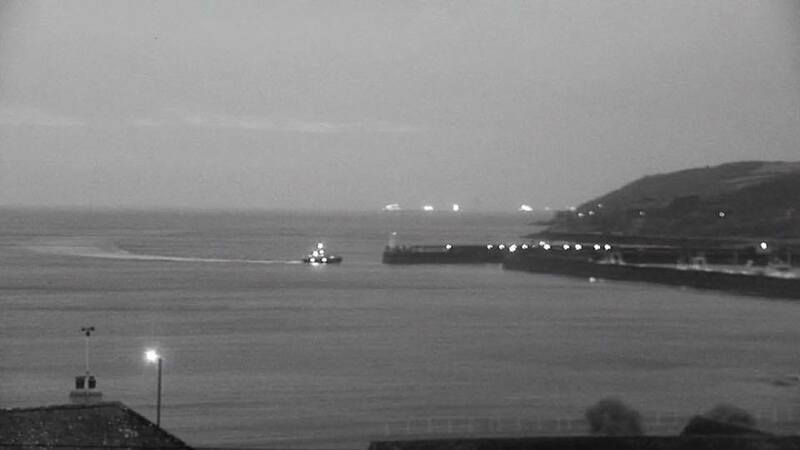 The ILB left scene and headed back to Newlyn arriving at 22:50. 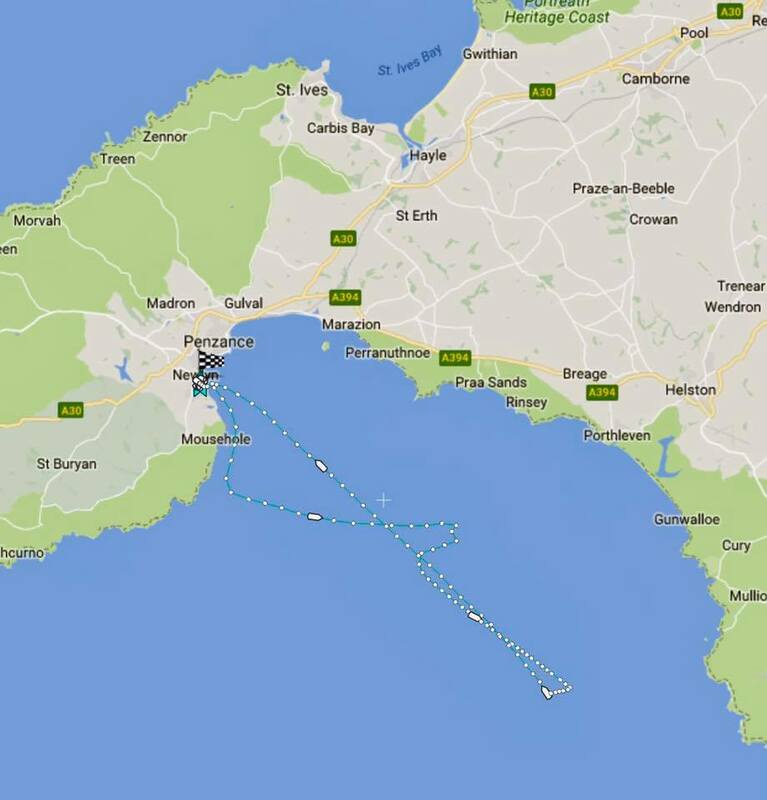 Both Penlee Lifeboats launched and joined the search for a 71 year old missing person. The Inshore lifeboat 'Mollie and Ivor Dent' made a search of Penzance Harbour and a shoreline search towards Marazion, and the all-weather lifeboat 'Ivan Ellen' searched the deeper waters of Mount's Bay. Thankfully the missing person was found safe and well in Penzance. Penlee Inshore lifeboat 'Mollie and Ivor Dent' requested to launch by Newlyn Harbour Master to assist a 32' yacht into Newlyn harbour. A prearranged launch at request of HM Coastguard to assist the Newlyn harbour boat to tow the fishing vessel Trevessa IV into Newlyn harbour. The Penlee All-weather lifeboat, 'Ivan Ellen' acted as a brake boat to facilitate a smooth entrance and mooring of the vessel. At 10.26pm the all-weather lifeboat 'Ivan Ellen' launched on service following several reports of a distress flare in Mount's Bay - Penzance Coastguard Rescue Team were also tasked. 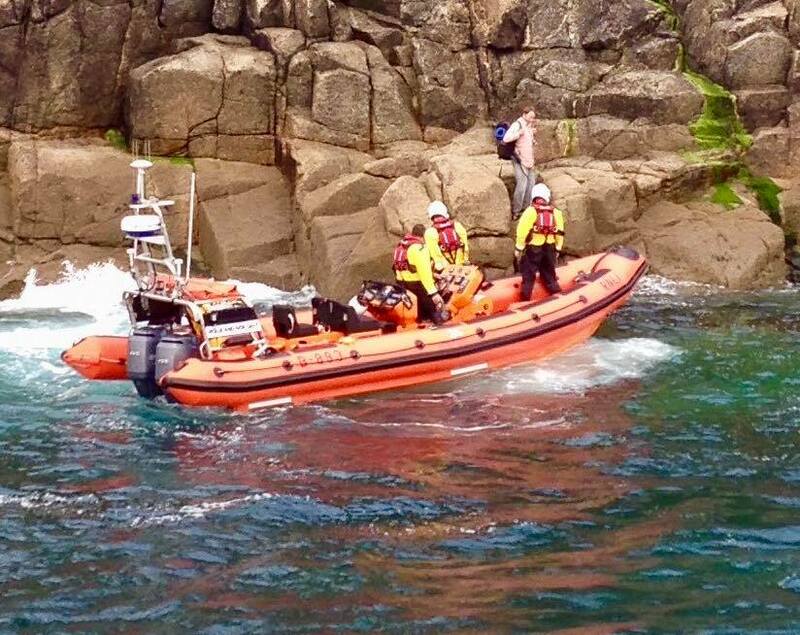 Penlee Lifeboat conducted a search between Penlee Point and Long Rock, while the Cliff Rescue team searched the shore line. After an hour of searching Falmouth Coastguard's were happy that there were no vessels in distress, and formed the opinion that the flare was probably fired from inland. The 'Ivan Ellen' returned to station at 11.30pm - Penzance Coastguard Rescue Team completed an inland search to try and find the culprits, or any remains of the flare - nothing was found. This stupid, inconsiderate, and thoughtless act caused a major search for the emergency services, involving many volunteers late into the night. 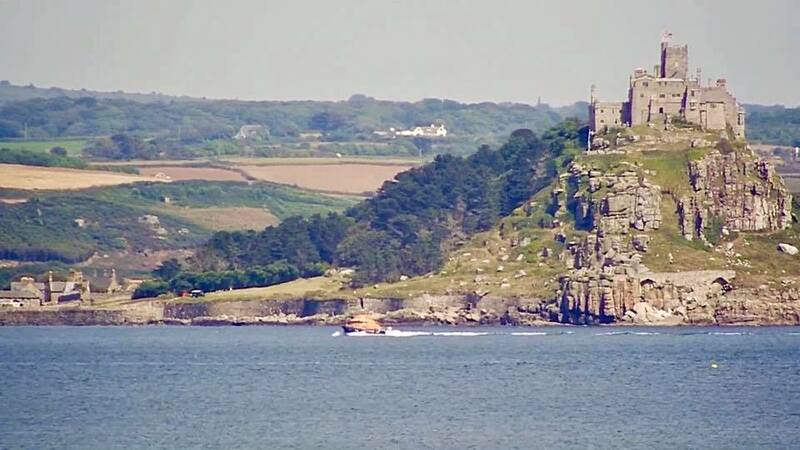 At 1900 Falmouth Coastguard received information that a young person on a body board had got into difficulties near St Michaels Mount and tasked the Inshore Lifeboat (ILB was on crew training in Mounts Bay) to proceed. Thankfully the young person got to safety before the Lifeboat arrived. A busy evening (2 calls) but once again well done to everyone involved. Crew Ben Keogh (helm) Elliot Andrews Jack Shannon and Craig Neal. Penlee Inshore Lifeboat 'Mollie & Ivor Dent' received a launch request from Falmouth Coastguard at 18:05 this evening following reports of three people in the sea requiring assistance near Battery Rocks. Penlee ILB launched immediately and arrived on scene at 18:12, to find a person had suffered an asthma attack in the sea, two other persons entered to sea to help and managed to get the person onto the steps at Battery Rocks. Penlee ILB crew helped to get the casualty out of the sea and administered oxygen. Penzance Coastguard Cliff Rescue team also arrived on scene to help as well as paramedics, the casualty was taken to an ambulance for further treatment. Penlee Inshore Lifeboat was released and conducted a crew training exercise in Mounts Bay. Penlee Inshore Lifeboat 'Mollie and Ivor Dent' launched at 15:59 to assist a small cruiser that broke down near Lamorna with 2 persons on board. Another vessel 'Comorent' that was close held on to the vessel until Penlee ILB arrived on scene, the vessel was then towed to Penzance Harbour, Penlee ILB returned to Station at 1700. 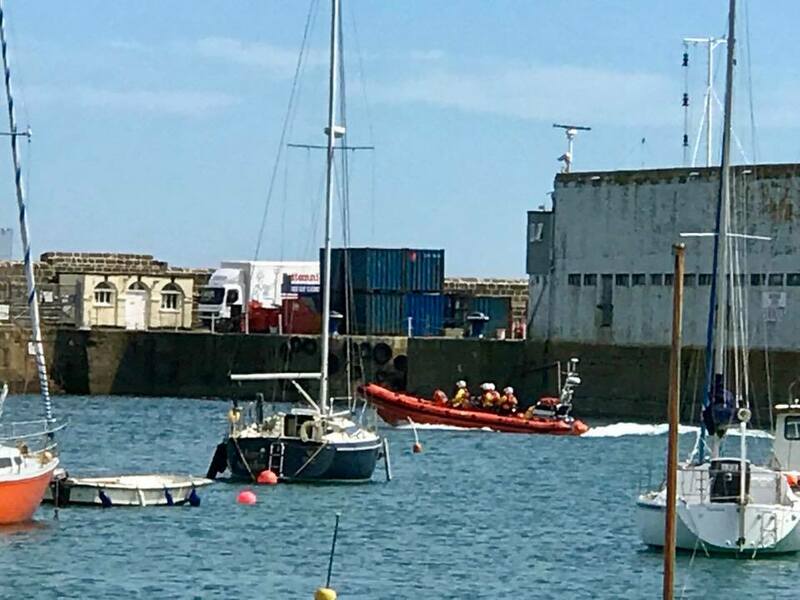 At 10:20am and at the request of Falmouth Coastguard, the Penlee Inshore lifeboat 'Mollie and Ivor Dent' launched from Newlyn after a member of the public reported seeing a kayaker in difficulties near Larrigan Rocks, just off Penzance. The Inshore lifeboat was quickly on scene and located the kayaker - there were no problems and all was ok. Reported to HM Coastguard with good intent. Crew - Ben Keogh (helm) Patch Harvey (ballast) & Andrew Wood. Weather - light easterly breeze slight sea. At 9.09am the Penlee ALB, 'Ivan Ellen' launched at request of HM coastguard to commence shoreline search for a missing German cyclist. Shortly after the ILB, 'Mollie and Ivor Dent' launched. 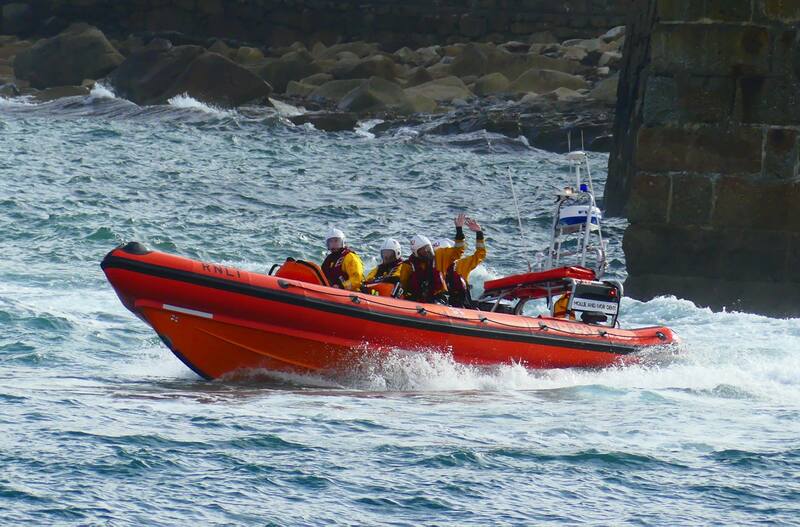 Together with Sennen Lifeboats, Coastguard SAR helicopter and the Cliff rescue teams the area between Lands end and Newlyn were searched resulting in a body being recovered by Sennen lifeboat. 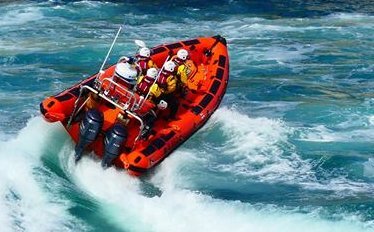 Penlee Inshore Lifeboat 'Mollie and Ivor Dent' launched at 4.20pm to search for a missing female swimmer who had been seen entering the sea near the old Lifeboat Station at Porthleven Harbour. The Inshore lifeboat arrived on scene within 15 minutes of launching and started to search the outer harbour area. Thankfully the person was found safe and well on dry land - the lifeboat was stood down and returned to station, arriving at 5.15pm. Weather - Light and variable wind, calm sea 0.5m swell. Crew - James Roberts (Helm), Jack Shannon, Marcel Le Breton and Sam Kent. At 9am this morning the crew pagers sounded and a request was received from HM Coastguard, Falmouth for the immediate launch of both lifeboats. ILB crew - Helm David Pascoe, Ben Keogh and Andrew Wood. Weather - West Force 3, calm sea conditions, good visibility. Perfect weather for an Inshore lifeboat casualty extraction from rocks. 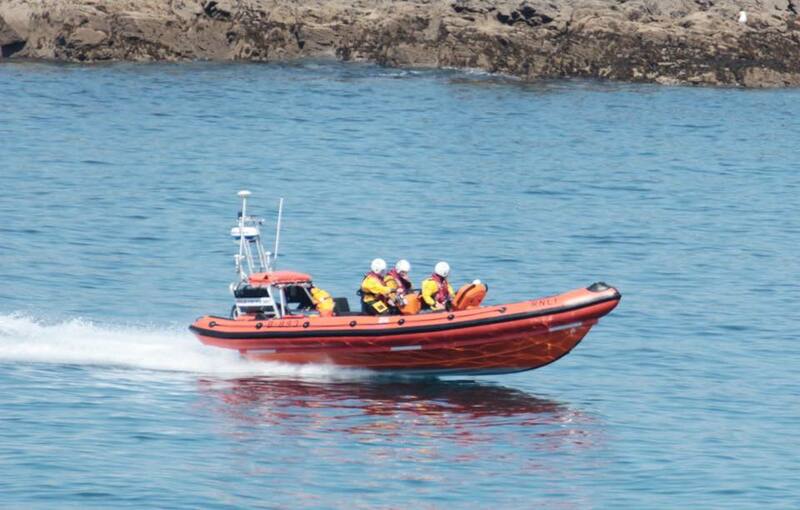 At 11:40am, following several reports of an angling vessel drifting towards the Western Cressar Rocks east of Penzance, HM Coastguard at Falmouth requested the immediate launch of Penlee's Inshore Lifeboat 'Mollie and Ivor Dent'. 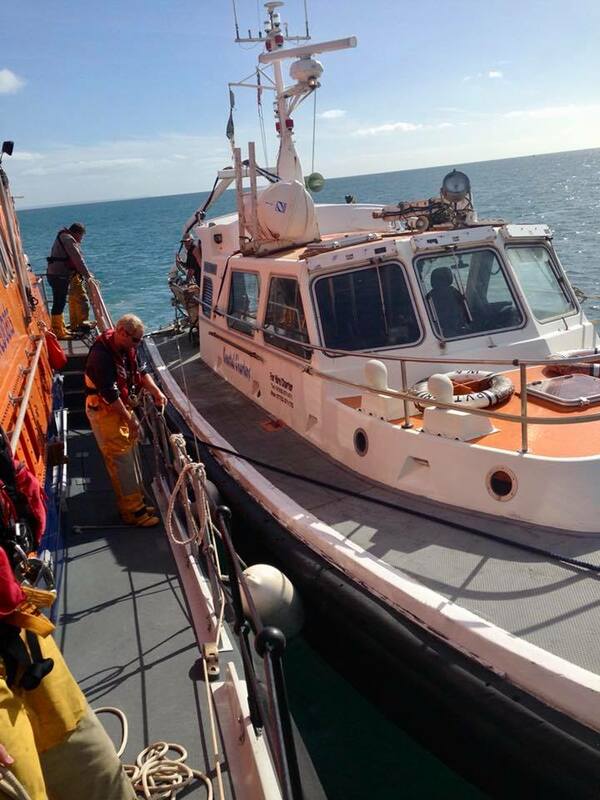 The disabled vessel, with one person onboard, was towed safely back to Penzance Harbour. The 'Mollie and Ivor Dent' returned to Newlyn at 12:30pm where she was refuelled, washed down, and made ready for her next service. Crew - Will Treneer, Ben Keogh, Andrew Woods. Weather - West 5 slight sea 1m swell. 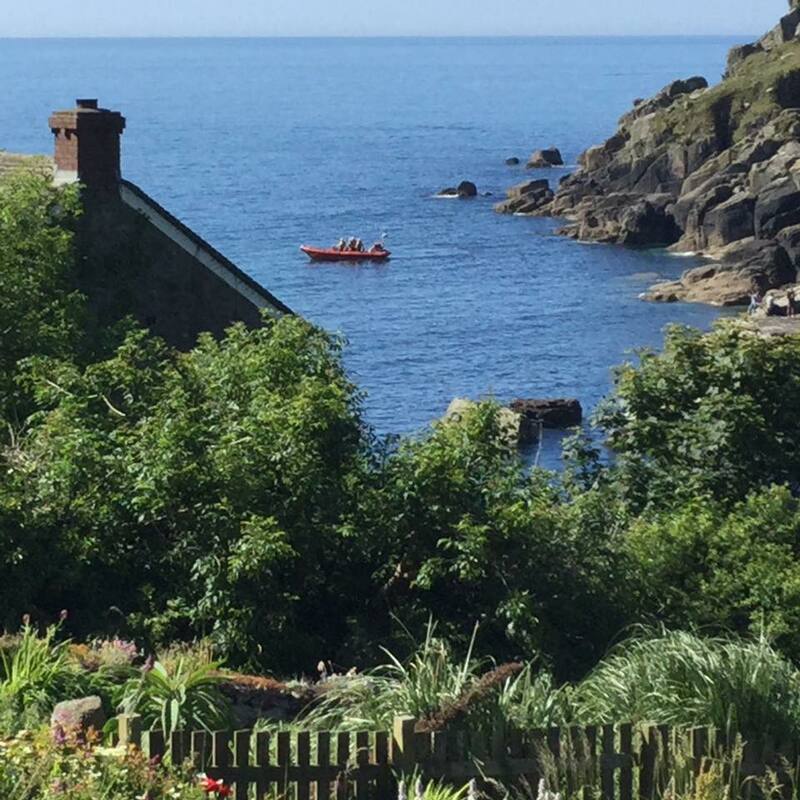 At 5:19pm on 9th June, at the request of HM Coastguard, Falmouth, the Penlee All-weather lifeboat 'Ivan Ellen' launched from Newlyn and carried out a shoreline search for a small boat which was reported as being on rocks near Porthleven - nothing was found. Penlee Lifeboat 'Ivan Ellen' launched at 12:21 today to assist a 23ft angling vessel that suffered engine problems 9 miles SSE of Newlyn with 3 persons on board. 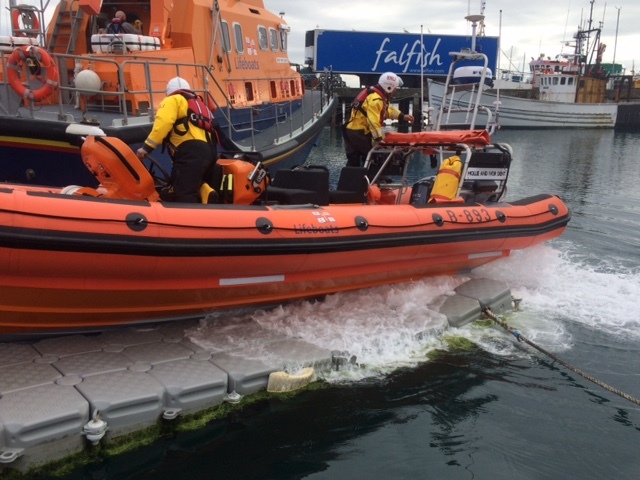 As the Lifeboat approached the vessel it managed to restart its engine. 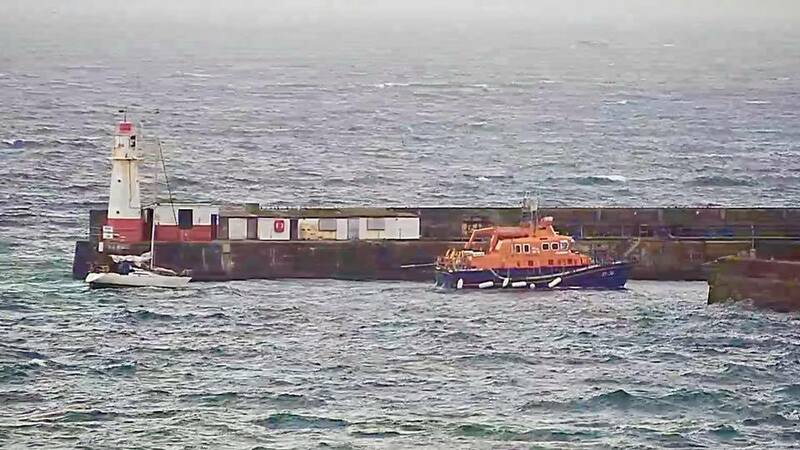 Penlee Lifeboat escorted the vessel to Penzance Harbour before returning to Newlyn at 13:35. Weather East 2-3 slight sea, fine weather. At 2:35pm at the request of HM Coastguard, the Penlee Lifeboat 'Ivan Ellen' launched from Newlyn and went to the assistance of a 32-foot yacht with four persons onboard that had suffered engine failure 10 miles SW of Newlyn. Due to a fresh east wind the yacht was unable to make any progress to Newlyn. The 'Ivan Ellen' lifeboat towed the yacht back to Newlyn, rafted it alongside, and brought it safely into harbour arriving at 5:10pm. Weather - East 4-5, moderate sea, 1m swell. Crew - Patch Harvey (Cox), Tony Rendle (Mech), Dave Pascoe, James Roberts, Neville Pittman, Andrew Woods, and Thomas Pascoe. At 01.42hrs Penlee Lifeboat Station received a launch request from Falmouth Coastguard. 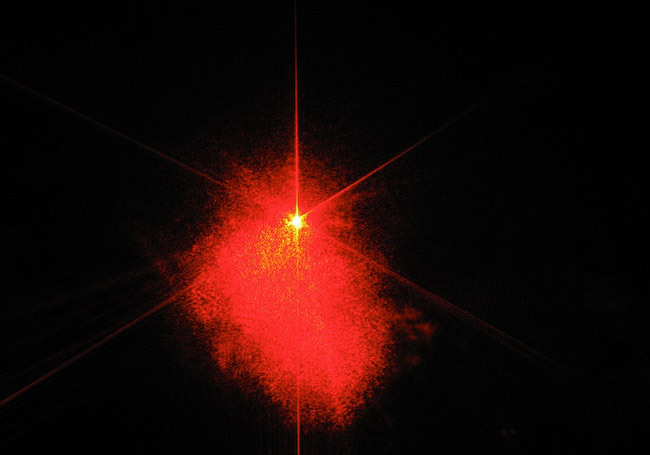 They reported that a vessels emergency locater beacon had been activated. The signal from this beacon was thought to be coming from an unused fishing vessel in Newlyn Harbour. This vessel was quickly located and boarded by some of our lifeboat crew, they did a cursory search but the beacon could not be found. During this search the directional finder onboard the Penlee Severn Class Lifeboat 'Ivan Ellen' started to pick up a weak distress signal. At 02:10hrs, in the hope of pinpointing the signal, Falmouth Coastguard requested the all-weather lifeboat 'Ivan Ellen' to launch. 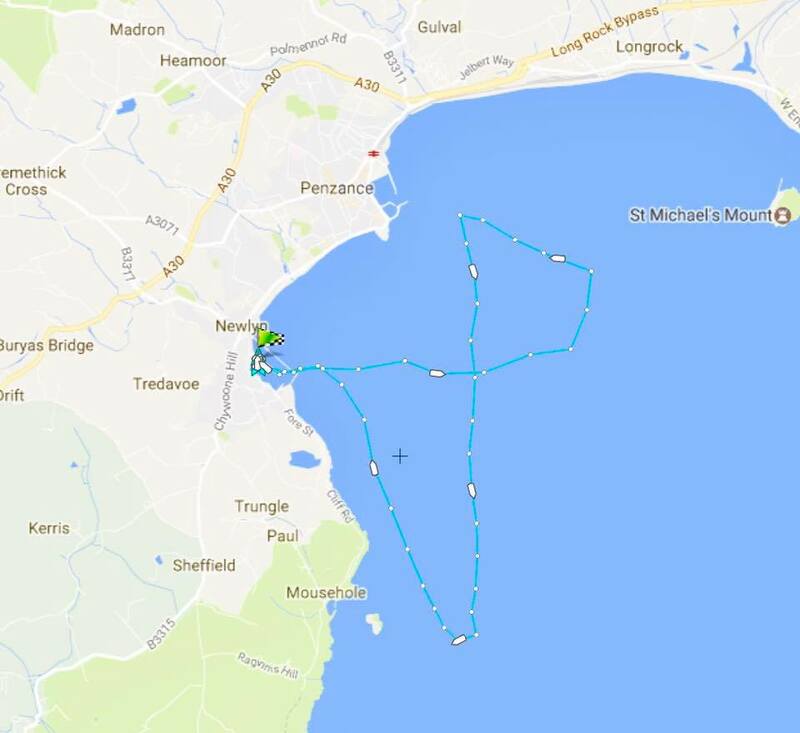 The crew were tasked to search Mount's Bay using our directional finder & radar to try and locate any vessels that maybe in distress. 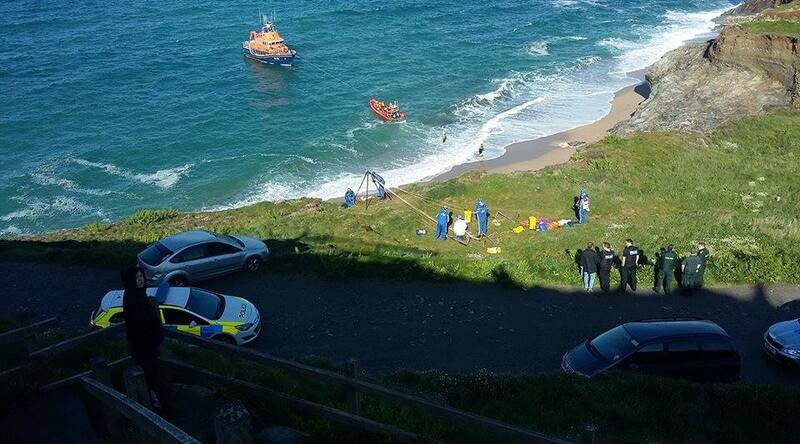 Later Sennen Cove Lifeboat also launched and carried out a similar search towards Pendeen - nothing was found. After a thorough negative search of Mount's Bay, the 'Ivan Ellen' lifeboat was stood down, returning to station at 03:15hrs. Falmouth Coastguard are still investigating where the distress beacon could be. It's quite possible that it could be inland, in someone's house or garage, with the owner unaware that the distress beacon has been activated. Weather - Southerly Force 6, rough sea, 2m swell with heavy rain. 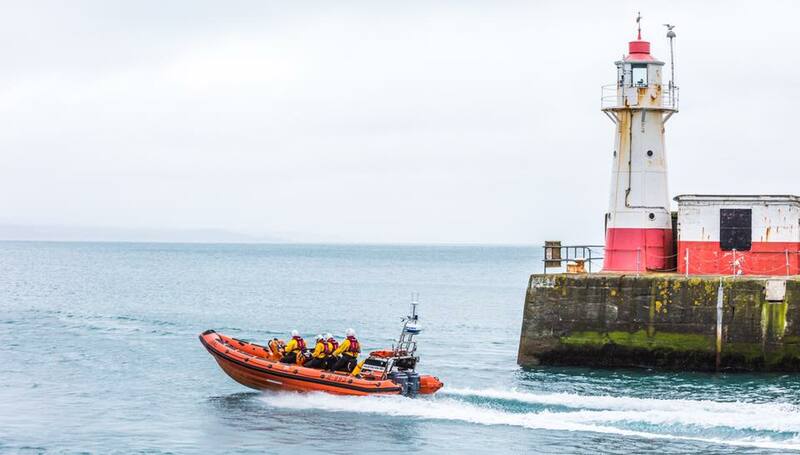 UPDATE: The emergency distress beacon (EPIRB) which sparked the launch of RNLI Penlee & Sennen lifeboat's during the early hours has been located. It was found earlier this morning by the Newlyn Harbour Master in a metal bin on the North Pier. These beacons are activated when they get wet and the heavy rain in Newlyn overnight caused it to go off. 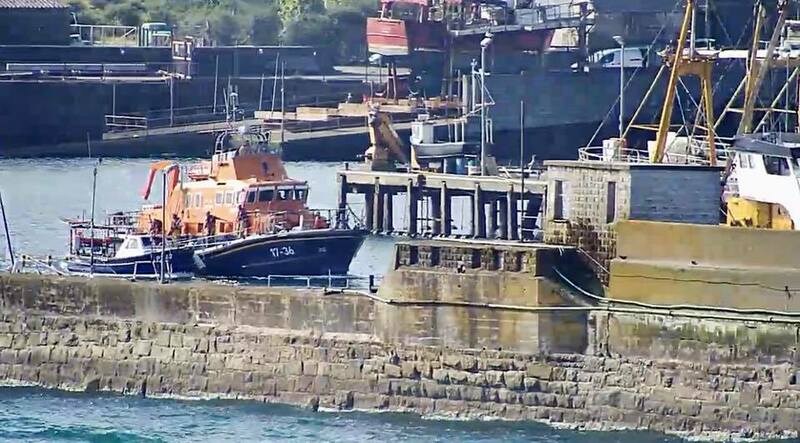 It is now at Penlee Lifeboat Station and has been deactivated. 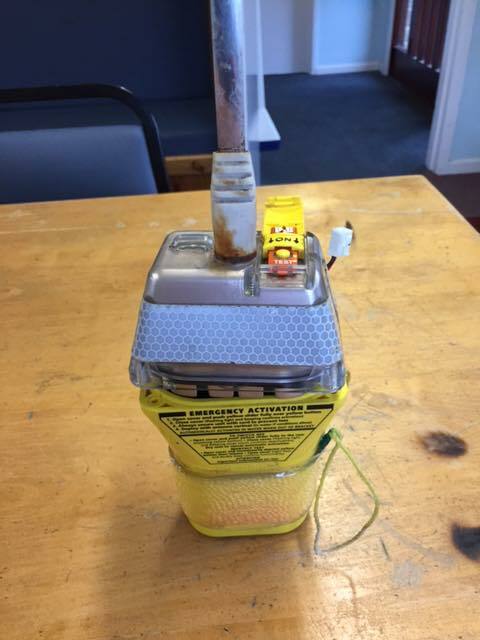 We urge all boat owners to dispose of EPIRB's with care, consideration and attention. If in doubt make contact with your local RNLI station. 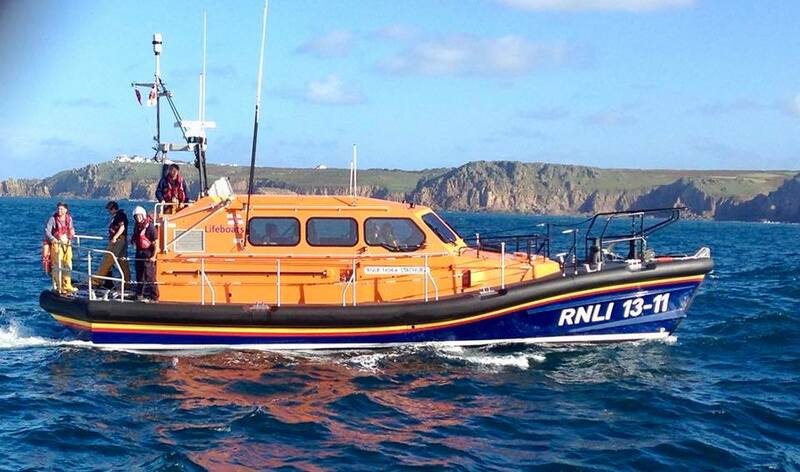 At 7.21am the inshore Penlee lifeboat, Mollie and Ivor Dent', was tasked to attend the shoreline near Porthleven. Soon after the Penlee ALB, 'Ivan Ellen', was also requested to attend. Details of the incident have still to be released, but this was a very difficult shout for both our volunteer crews. As always, they dealt with the situation in a calm, compassionate and professional manner, giving assistance to the Devon & Cornwall Police and Porthleven Coastguard Rescue Team who were both on scene. We await a full statement from the Police in respect of this incident. Launch request from HM Coastguard just before 7pm to assist a 10m fishing vessel with a fouled propeller 4 miles south of Mousehole. ALB attended vessel and took under tow back to Newlyn Harbour. Penlee All Weather Lifeboat 'Ivan Ellen launched at 16:25 today to assist the 30m Beam trawler 'Billy Rowney' that had suffered a fouled propeller. Penlee Lifeboat took over the tow from another beam trawler 'Lisa Jaqueline' one mile SE of Newlyn, due to the size and weight of the vessel Penlee Inshore Lifeboat 'Mollie & Ivor' was launched to give assistance towing the vessel through the gaps and berthing it alongside in Newlyn Harbour. Despite the challenging task the Billy Rowney was berthed alongside with no problems. Both Lifeboats returned to station at 17:15. ALB crew Patch (cox) Tony Dave P Marcel Sam Straps and Elliot. ILB crew James (helm) Tom Bicky and Dan. Weather, fine with a light east breeze and calm sea conditions. At 3.31pm a launch request was received from HM Coastguard Falmouth for Both Penlee Lifeboats,ILB 'Mollie and Ivor Dent' and ALB 'Ivan Ellen'. Tasked to search for an overdue swimmer between Newlyn and St Michael's Mount. 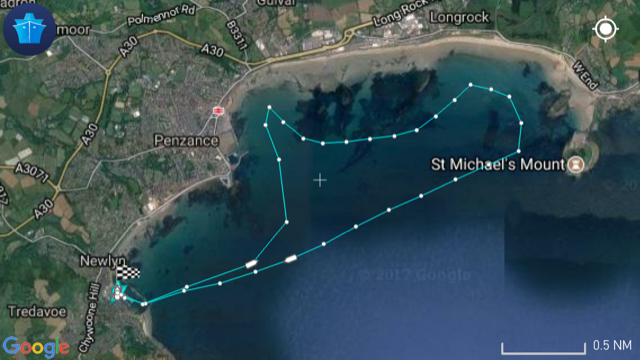 The swimmer was located safe and well half-a-mile west of the Mount by the fishing vessel 'Cathryn', and was taken to Marazion Beach. 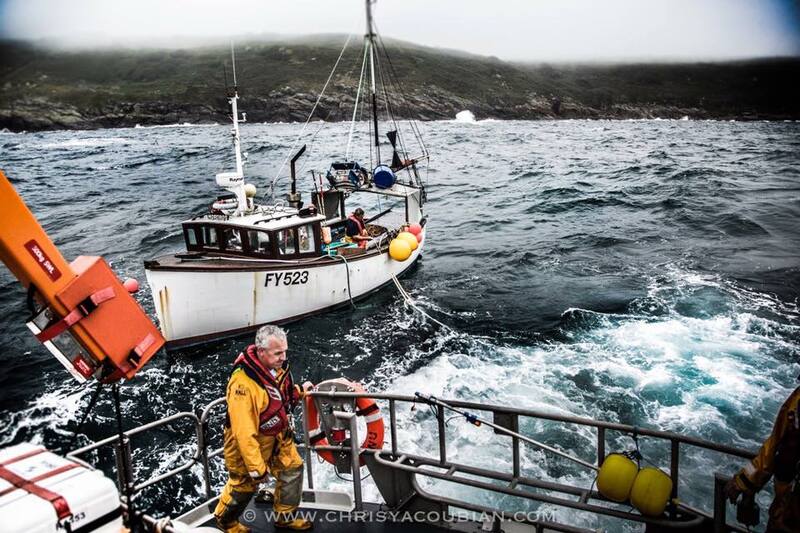 At 7.39am the Penlee ALB, 'Ivan Ellen', was launched to the aid of a small local fishing vessel 'Mollie May'. 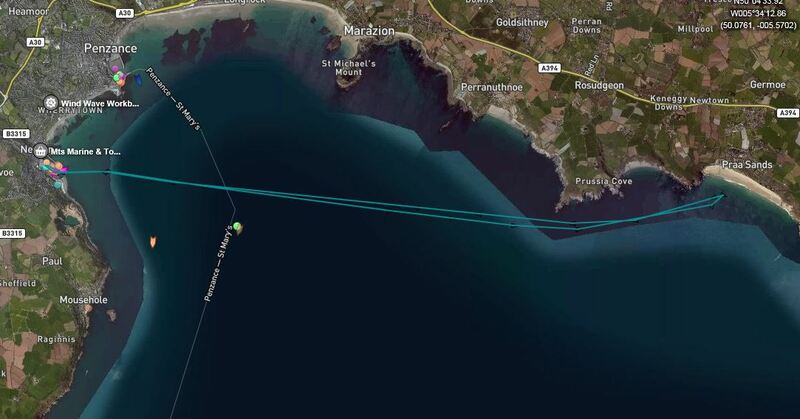 The vessel had suffered from fuel problems just off the coast at Porthcurno and required towing into Newlyn Harbour. The volunteer crew berthed the 'Mollie May' in Newlyn, put the Lifeboat back onto station and left for work! The vessel was quickly located and taken under tow to Newlyn harbour where it was berthed alongside the pontoons arriving at 5.20pm. At 11.54am on 22nd April the all-weather lifeboat 'Ivan Ellen' and the Inshore lifeboat 'Mollie and Ivor Dent' launched from Newlyn and joined the search for a vulnerable 83 year old gentleman who had been reported missing by his wife ~ she actually went to Penlee Lifeboat Station and reported her concerns to Coxswain Patch Harvey and the crew. 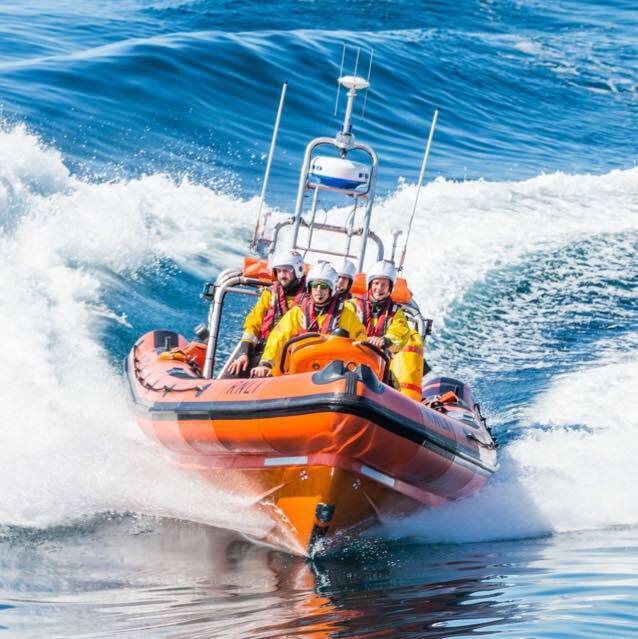 An immediate launch of both lifeboats was approved by HM Coastguard, Falmouth. 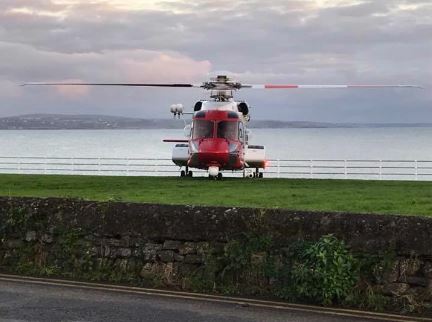 A shoreline search was conducted by the lifeboats, and a search of the coastline and surrounding area was carried out by Penzance Coastguard Rescue Team and the Police. Thankfully the gentleman was found safe and well at Penzance Bus Station. 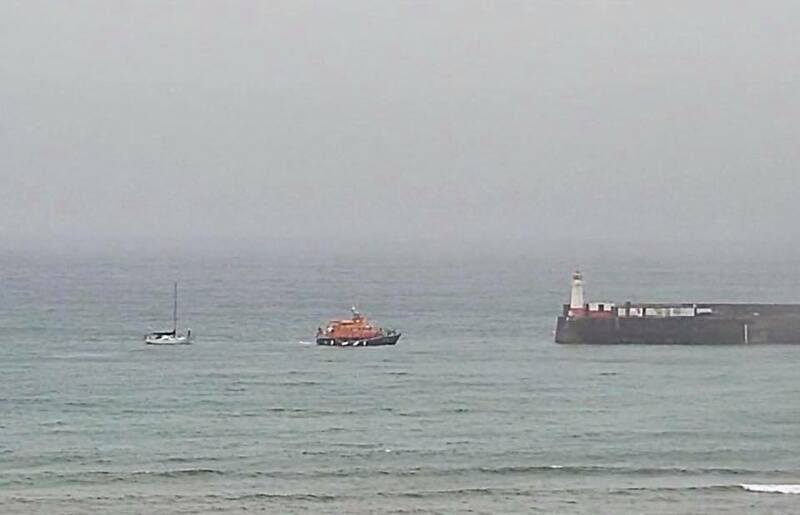 Both lifeboats returned to Newlyn at 12.30pm. Weather ~ Calm sea, light breeze from the North. Penlee Lifeboat 'Ivan Ellen' received a launch request from Falmouth Coastguard at 02:27 on 19th April 2017. 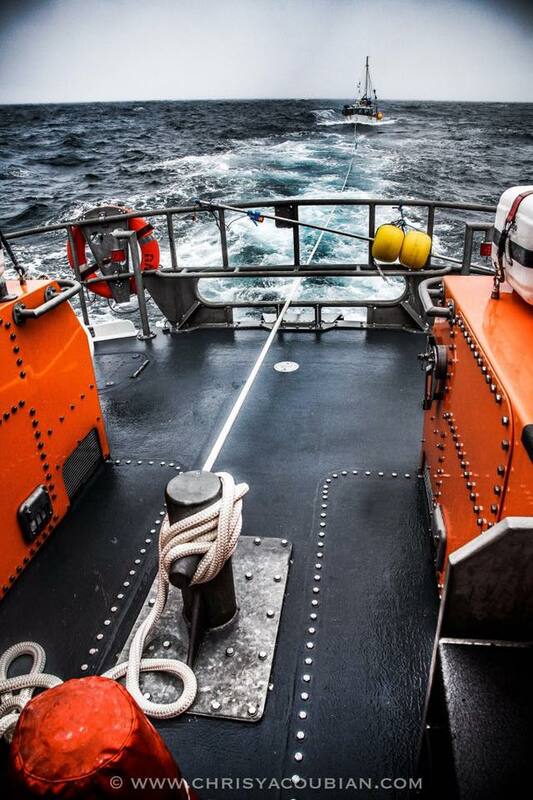 At 02:37 the Lifeboat launched to go to the aid of a local 45ft fishing vessel that suffered steering failure 8.5 miles SSE of Newlyn with 4 persons on board, at 03:10 the rope was connected and the vessel was towed towards Newlyn Harbour. Penlee Lifeboat berthed the fishing vessel alongside the fish market and returned to station at 5am. Weather ENE 2-3 slight sea. Crew Patch Tony Dave P Ben Elliot Dan and Marcel. Just after 2.00pm on 13th April and at the request of HM Coastguard, Falmouth, the Penlee Inshore lifeboat 'Mollie and Ivor Dent' launched from Newlyn and joined other emergency services in the search for an elderly vulnerable male. 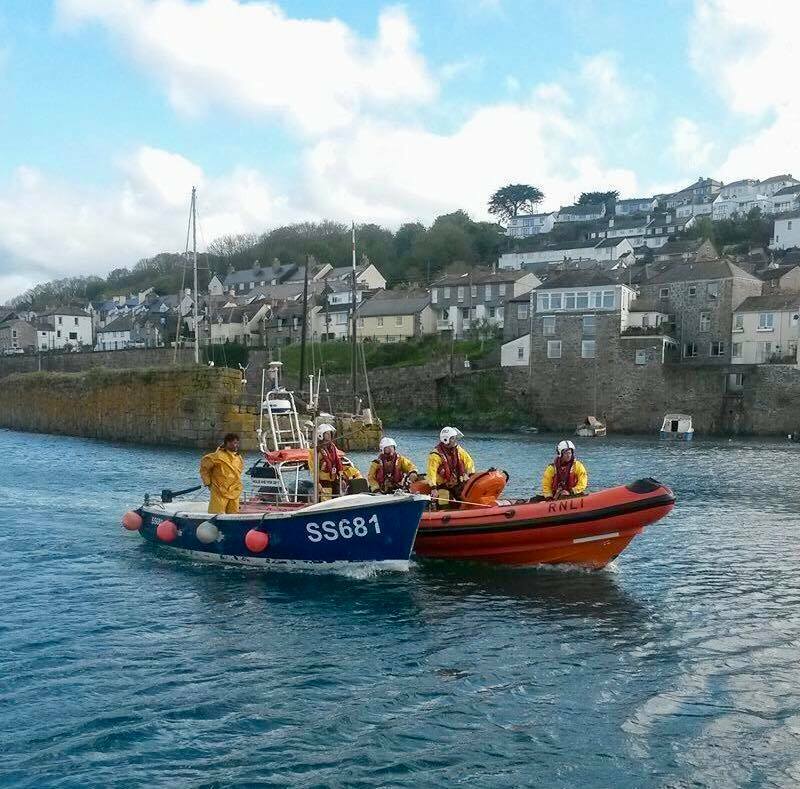 The volunteer crew carried out a shoreline search between Newlyn and Penzance. Thankfully the man was found safe and well in Penzance and all units were stood down. The Mollie and Ivor Dent then returned to Newlyn ready for her next shout. 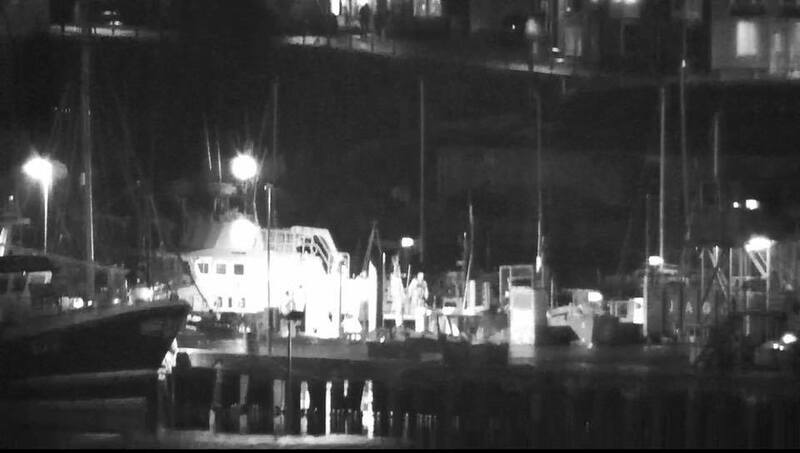 At 7.59pm on 31st March, just as darkness was falling, Penlee Lifeboat received a launch request from Falmouth Coastguard and were tasked to help search for a 33ft cabin cruiser, with two persons onboard, that had steering problems, was unsure of its position, and required assistance. The Lizard Lifeboat 'Rose', and the Sennen Lifeboat 'City of London III' were also tasked. Using radar the Ivan Ellen lifeboat conducted a search of Mount's Bay between Lamorna and Cudden Point - the vessel was thought to be 2 miles from land. 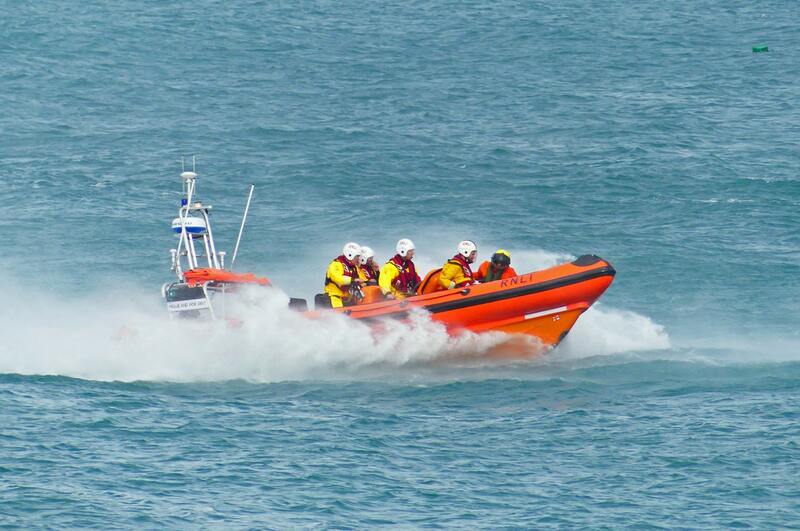 The Lizard lifeboat 'Rose' started their search towards Porthleven. 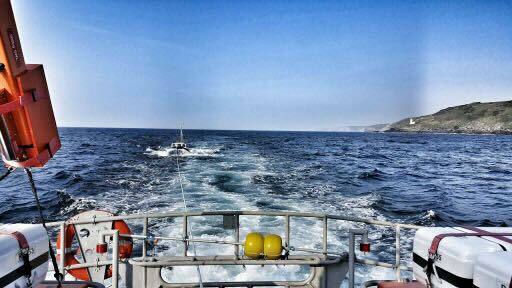 During the search our lifeboat saw a small vessel west of Porthleven and headed towards its position, only to find it was a 36ft fishing vessel. The Coastguard Search and Rescue helicopter, Rescue 924, then joined the search for this vessel. At around 9.00pm Rescue 924 located the cabin cruiser 2 miles south of the Lizard Point - Penlee Lifeboat then stood by whilst the Lizard Lifeboat approached the vessel and connected a tow. 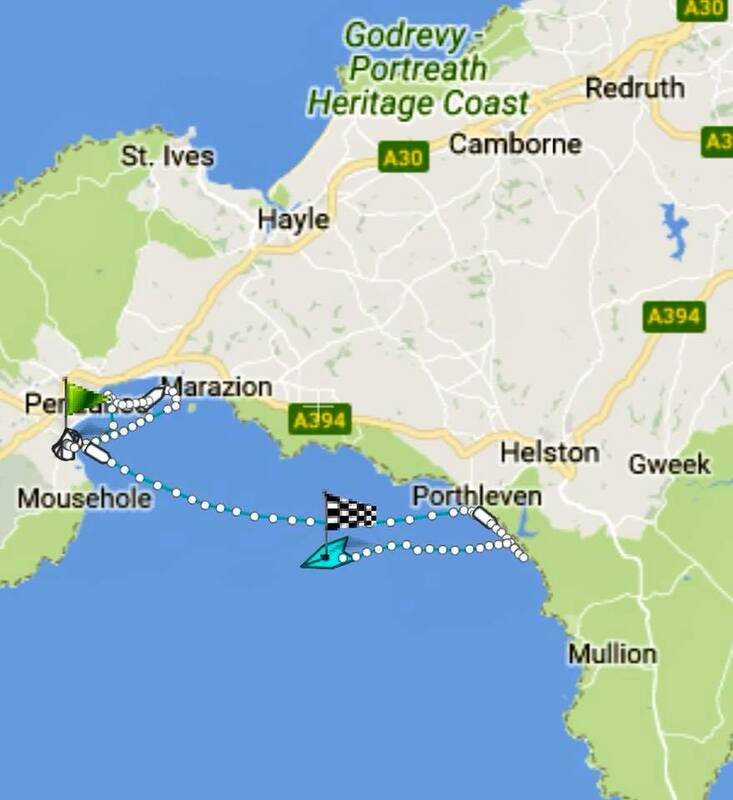 At 9:20pm the Lizard Lifeboat started towing the vessel towards Falmouth, arriving safely in harbour at 11.00pm. Penlee Lifeboat then returned to station arriving at 10.00pm. Weather WSW 4 mod sea 4m swell. 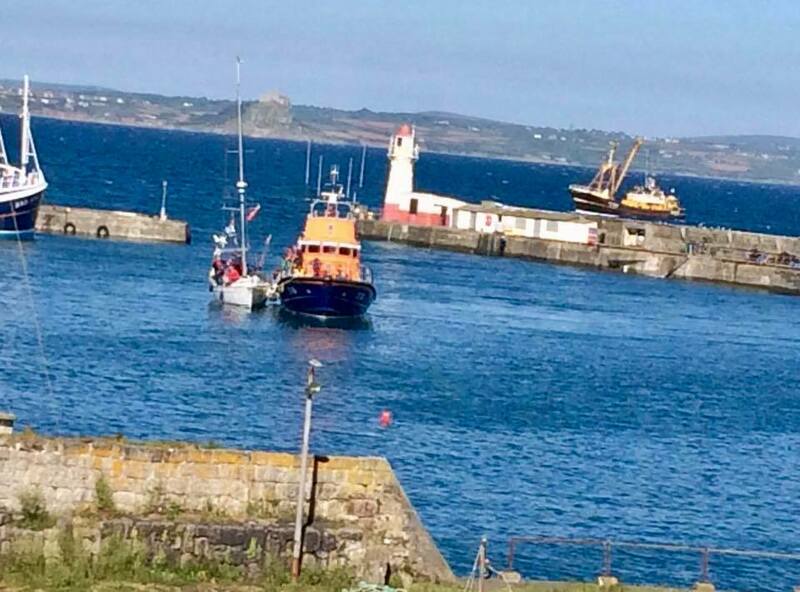 The 'Ivan Ellen' lifeboat has relaunched at around 7am from Newlyn and is making her way back to the 'Lady Alida' (Earlier shout) - the vessel is currently dragging her anchor and the lifeboat will stand-by with a tow rope until the tug arrives. 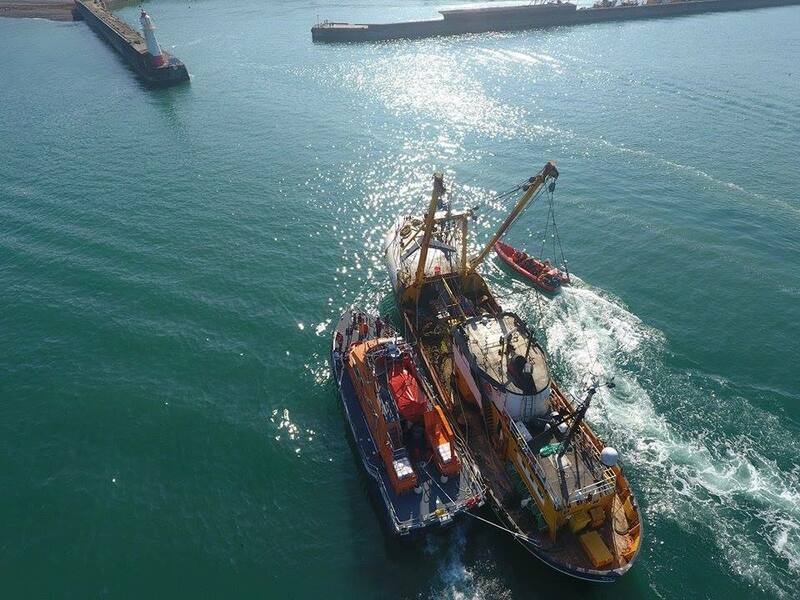 Following the arrival of the Tug, the tow was transferred to it and the lifeboats were released from the scene to return to Base. A very long shout for both Penlee and Sennen Crews. At 3.20am, at the request of HM Coastguard, Falmouth, the all-weather lifeboat 'Ivan Ellen' launched from Newlyn and went to the assistance of the 'Lady Alida', an 80m coaster with 7 crew onboard, which had suffered complete engine failure 3 miles south of Gwennap Head. The vessel, which sails under the flag of the Netherlands, was laden with sand and bound for Waterford, Southern Ireland. The lifeboat was alongside the 'Lady Alida' just 25 minutes after launching and immediately attached a tow rope. 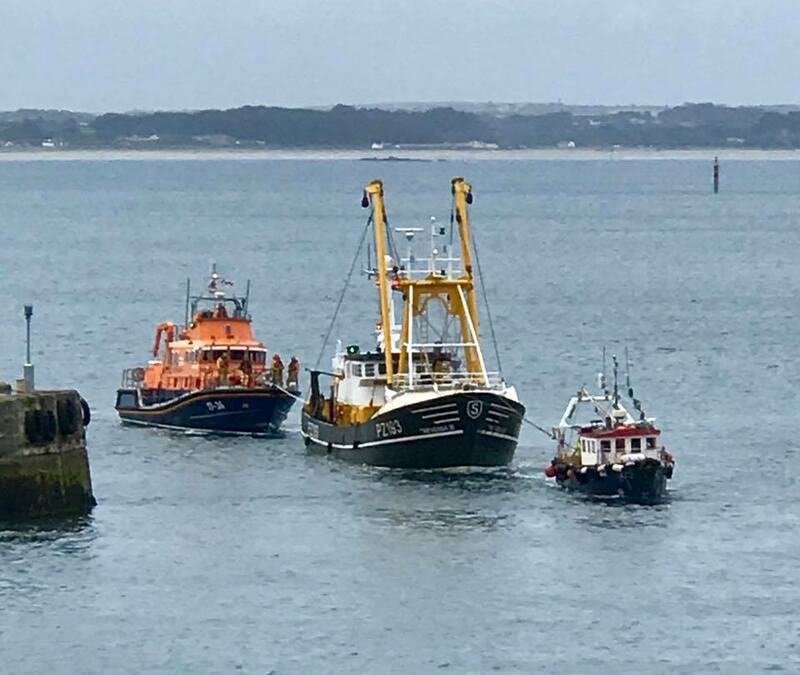 They started towing the vessel south to safer waters at 1 knot and were then joined by the Sennen Lifeboat 'City of London III' who also attached a tow rope. 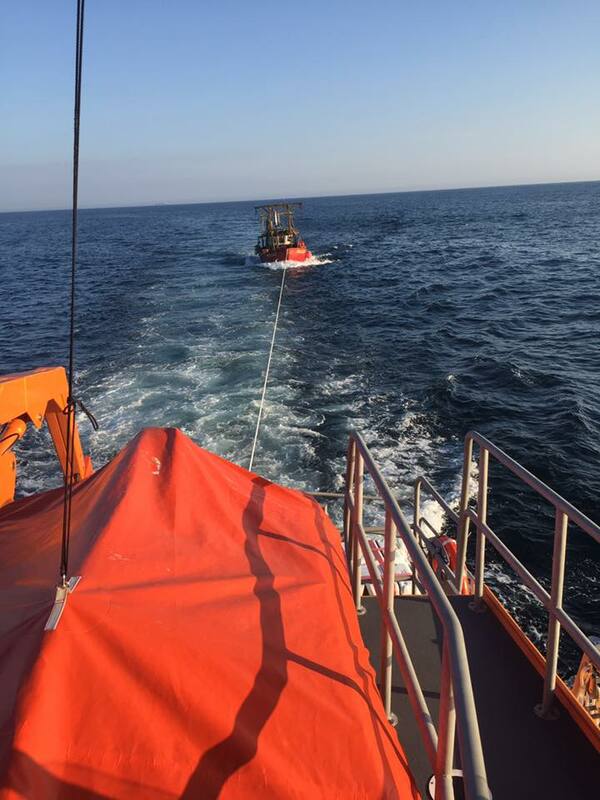 With both lifeboats taking the strain and towing, making a knot-and-a-half, the vessel was towed to deeper safer water. The initial plan was to tow her to Mount's Bay for safe anchorage but due to the strong SW wind Force 6 it was difficult for the lifeboat to turn the vessel. HM Coastguards at Falmouth agreed that the 'Lady Alida' could anchor in deeper waters south of Gwennap Head to await the assistance of a tug. 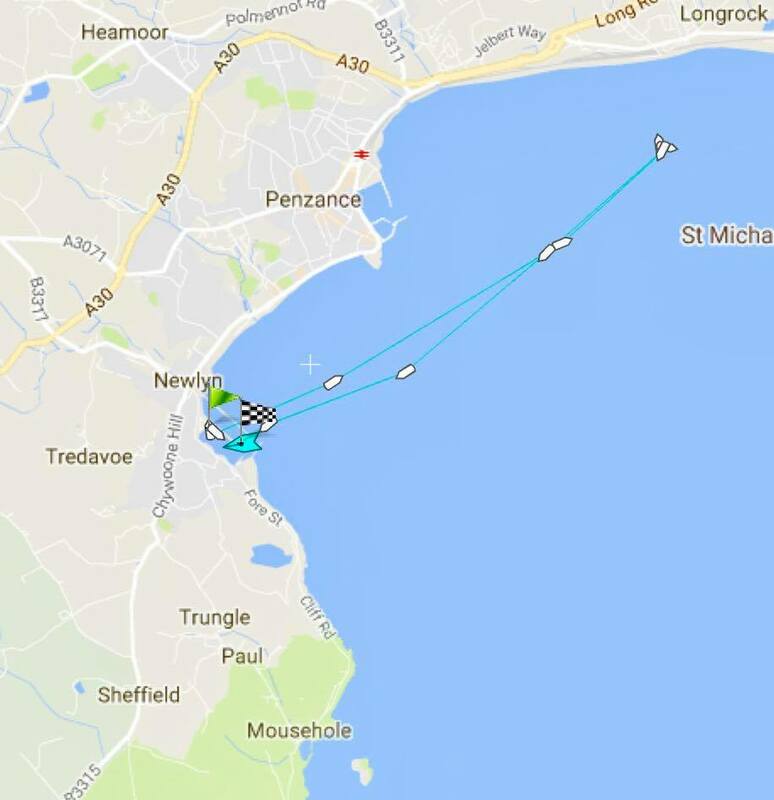 A tug is now on route from Plymouth with an ETA of 7 hours. Our lifeboat is on stand-by with a strong likelihood that she will relaunch when the tug arrives on scene. Penlee Lifeboat launched to assist a 25ft fishing vessel at 8.50pm on 27th Feb. The vessel, with two persons onboard, had suffered a fouled propeller two miles ENE of Newlyn and required a tow. Crew: Cox Patch, Mech Tony, Dave Pascoe, Ben Keogh, Will Treneer, Elliot Andrews and Neville Pittman. At 1.05pm on 10th Feb the all-weather lifeboat 'Ivan Ellen' launched from Newlyn and went to the assistance of the 60-foot gill netter 'Ocean Pride' which had suffered gear box failure. The Ocean Pride, with 5 crew onboard, was being towed by the Stevenson's beamer 'Lisa Jacqueline' towards Newlyn but the lifeboats help was required to bring the vessel through the gaps. The Ivan Ellen took over the tow about half a mile east of Newlyn and brought the Ocean Pride safely into the harbour. 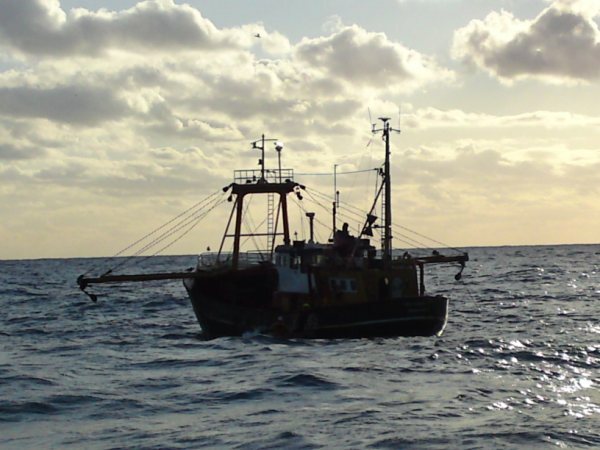 The vessel was rafted alongside the lifeboat and towed to the Fish Market. Crew - Cox Patch, Mech Tony, David Pascoe, Kenny Downing, Neville Pitman and Jason Ward. Weather - SE Force 3, 1m swell. 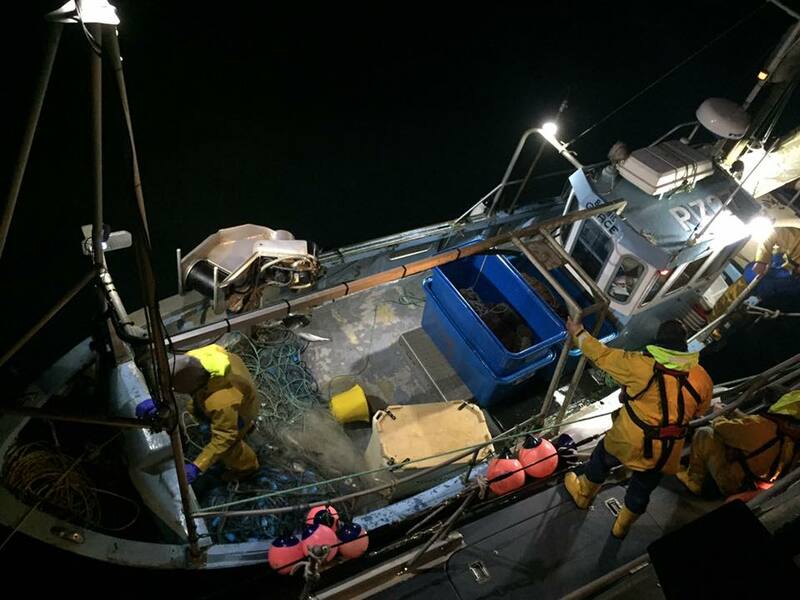 Assist in recovery of injured person working on fishing vessel 'Trevessa IV' in Newlyn harbour. The ALB assisted in rescue of the person and transfer to awaiting ambulance. The Inshore lifeboat 'Mollie & Ivor Dent' self launched to a small fishing vessel had broken down with fuel problems, but had managed to restart her engines. 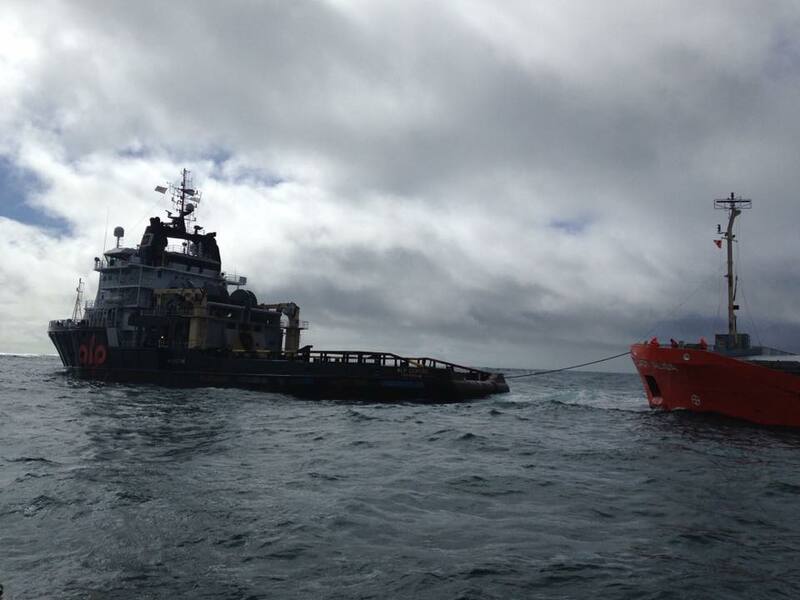 The vessel was between Newlyn & Low Lee Buoy. The ILB shadowed the vessel back into Harbour. Crew - Patch Harvey (Helm), Tony Rendle, and Steve Instance, RNLI Area Lifesaving Manager.